British Cycling has confirmed that the 2019 HSBC UK | National Circuit Championships will be hosted in Rochester, Kent. Meanwhile, a dedicated women’s circuit series will also be introduced to the UK calendar for the first time ever. The historic Medway town in South East England will see both the men’s and women’s national champions crowned on Sunday, July 21, with the full race route to be confirmed in due course. Jonathan Rigby, British Cycling’s Commercial Director, said “We’re thrilled to award the 2019 HSBC UK | National Circuit Championships to Rochester in Medway. The area is steeped in history, and will provide a wonderfully picturesque backdrop to what will be some fantastic racing. Medway Council Leader, Councillor Alan Jarrett, added “We are delighted that British Cycling has awarded Medway the honour of hosting the 2019 HSBC UK | National Circuit Championships. The historic town of Rochester has the most incredible sights, from a Norman castle, ancient cathedral, river esplanade and a beautiful Victorian cobbled High Street enjoyed by Charles Dickens and now, millions of visitors each year. Rochester will provide a spectacular and exhilarating course for both the men’s and women’s races. Last year’s championships, held in Stockton-on-Tees, saw the women’s race won in commanding fashion by Anna Henderson, while Matt Gibson won a sprint finish to take the men’s crown. Previous national circuit champions include Katie Archibald, Tom Pidcock, Joanna Rowsell Shand and Lizzie Deignan. British Cycling has also confirmed the dates of the 2019 HSBC UK | National Circuit Series, which for the first time will see a standalone collection of races for men and women, with both series seeing the best British riders compete across a number of rounds for individual and team honours. 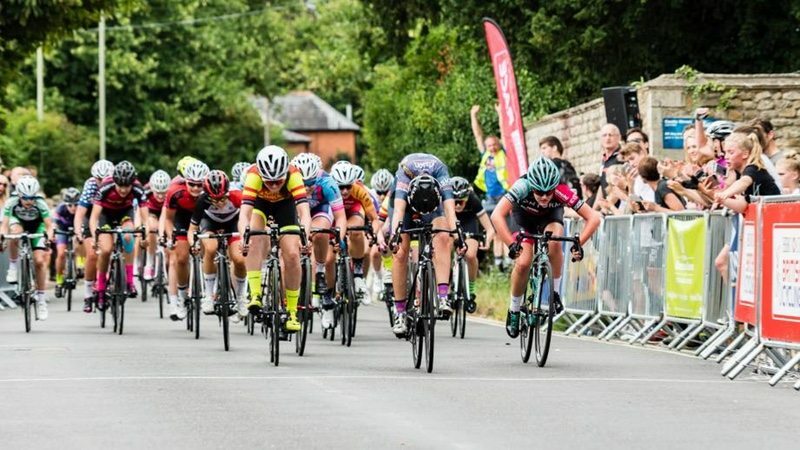 The women’s series will begin with the Bristol Grand Prix on June 16, before moving on to Otley, which will also signal the start of the men’s series. The women’s series concludes in Barnsley (July 19) and the men’s in Sheffield (July 24). Welcome to endurancebusiness.com, the dedicated information site for the international endurance sport industry. We focus on 'the business of athlete experiences'. To sign-up for our daily news e-mails, visit our Newswires page. © 2019 endurancebusiness.com. All rights reserved. Get the latest endurance industry news straight to your inbox daily. You can change your mind at any time by clicking the unsubscribe link in the footer of the email you receive or by contacting us at office@endurancebusiness.com. We will treat your information with respect. For more information about our privacy practices please click here. By clicking below, you agree that we may process your information in accordance with these terms. Your e-mail has been added to our daily newsletter list!